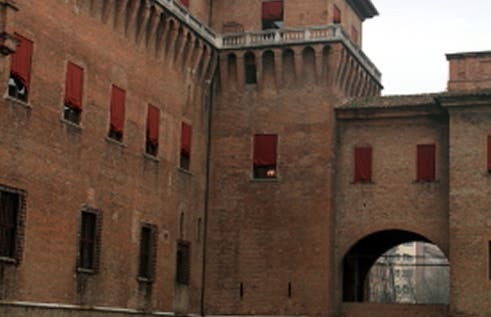 I would say it is the most important civilian building in the city, the Castello Estense or Castle of the East, also known as Castle of San Michele. It is a square brick building which has has four defensive towers and is surrounded by a moat. It is located in the city center, a few steps from the cathedral and also the palace of the same name. It was started to be built in 1385 and was partially restored from about 1554, the flags on the top of the towers date from the latter date. It really looks like its out of a film. Nice and full of history. Better during spring.